and Earth imagery teams have recently made. We’ve refreshed the high resolution aerial and satellite imagery for many places around the world, and released some new 45 degree imagery as well. 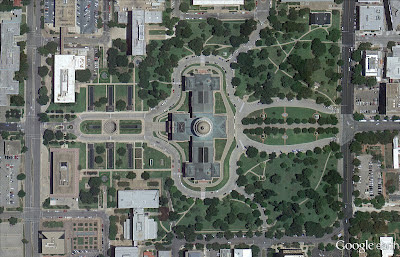 In addition, 45° imagery is now available in Google Maps for 37 U.S. and 14 international locations. Below are some examples of the beautiful new views from Pisa, Italy and Winnipeg, Canada. Probably one of the most famous landmarks in the world is the Leaning Tower of Pisa. Its construction started back in 1173 and extended over a period of almost 350 years. Due to increasing incline during the last Century, a stabilization effort was performed that took almost two decades to complete. Today the tower is said to be safe from collapsing for at least 200 more years. Leaning Tower of Pisa - Can you detect the angle? In the language of the native Cree people, the city’s name of Winnipeg means “muddy waters.” The first European settlements in the area were several fur trading posts started around 1738. Today Winnipeg’s economic and educational significance within Canada is undoubted. Below is an image of The Forks which designates the confluence of the Red and Assiniboine Rivers. The aerial image below shows the pentagon-shaped Citadel of Lille, in Lille, France. 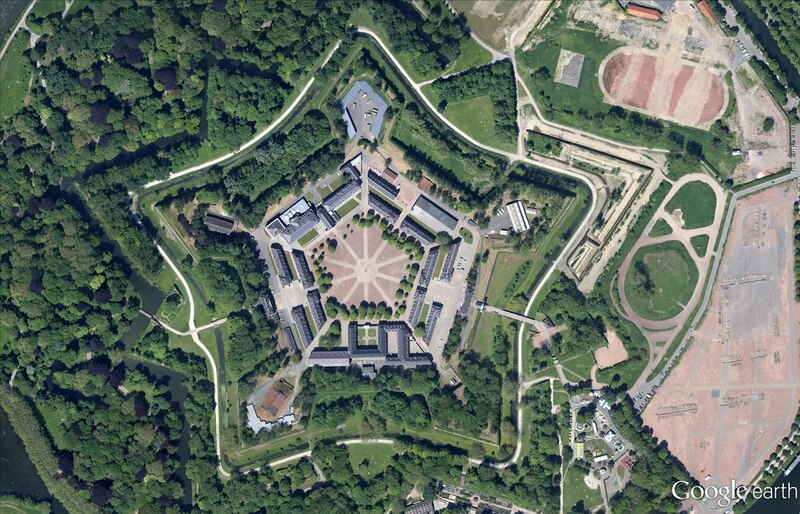 It was built in 1668 and designed by the great military engineer of the time, Sébastien Le Prestre de Vauban. The next aerial imagery shown below was taken earlier this month of the Texas State Capitol and adjoining grounds in Austin, Texas. The building is recognized as a National Historic Landmark. United States: Ames, IA; Anderson, IN; Billings, MT; Bloomington, IL; Carmel Valley, CA; Cedar Rapids, IA; Coeur d'Alene, ID; Corvallis, OR; Danville, IL; Dayton, OH; Detroit, MI; Dubuque, IA; Elizabethtown, KY; Enid, OK; Florence, SC; Grand Forks, ND; Great Falls, MT; Gulfport, MS; Hartford, CT; Kankakee, IL; Kenosha, WI; Lafayette, IN; Lancaster, CA; Lansing, MI; Lewiston, ID; Los Banos, CA; Sun Prairie, WI; Medford, OR; Michigan City, IN; Olympia, WA; Pocatello, ID; Sheboygan, WI; Sioux City, IA; Sioux Falls, SD; South Bend, IN; Terre Haute, IN; Utica, NY. Our quest to create the most comprehensive and accurate map of the world is ongoing, but we’re happy to take a pause and share some impressive progress that our Google Maps and Earth imagery teams have recently made. We’ve refreshed the high resolution aerial and satellite imagery for many places around the world, and released some new 45 degree imagery as well.